Preheat oven to 180°C / fan 160°C / gas mark 4. Mix MCTprocal™ with ground almonds, using fingertips rub in butter until a sandy/crumbly texture is formed. Add water and beaten eggs to mixture, mix well. Spread mixture into a 5 inch circle on grease proof paper. Spread tomato sauce over base, sprinkle the cheddar, mozzarella and Parmesan cheeses on top of the sauce. Place the blue cheese in the middle of the pizza. Cook in the oven for 10-15 minutes until the crust is golden brown. 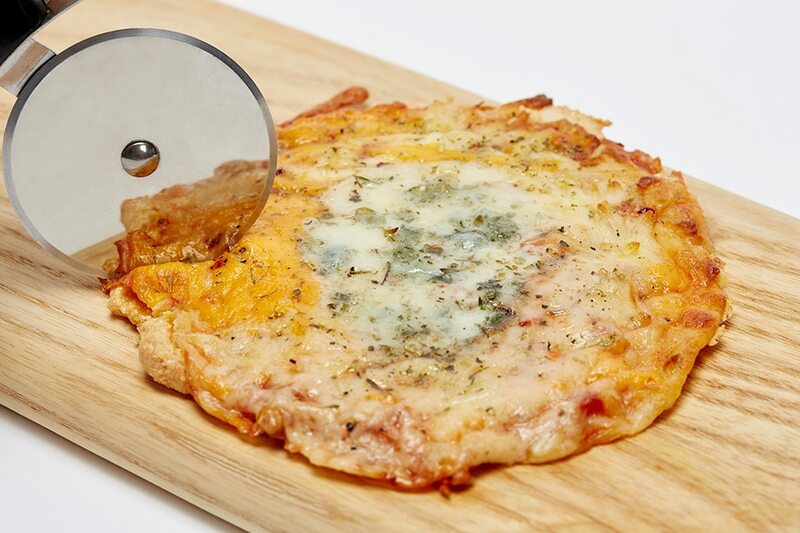 To download the 4 Cheese Pizza recipe card click here. MCTprocal™ is a food for special medical purposes and must be used under medical supervision. This recipe has been specifically designed for use in a ketogenic diet. Refer to labels for allergen and other product information. Always check with your dietitian what is suitable for you.